Reduce your electricity costs and provide back-up during a power outage with battery storage. Learn how to get started with a battery storage system here. Thinking of investing in battery storage? There are different battery storage systems to suit different needs. So before you buy, make sure you know which one will work best for you. As interest in battery storage grows, the cost of installation is expected to continue to fall. Hi and welcome to another episode of Smarter Energy. This time we'll be looking at one of the most exciting and revolutionary advances in energy consumption... battery storage systems. If you've got solar panels at your place or you're thinking about getting solar, battery storage systems offer many great benefits. So, how do they work? Well we're here in sunny Toowoomba to find out. Solar energy is fantastic. 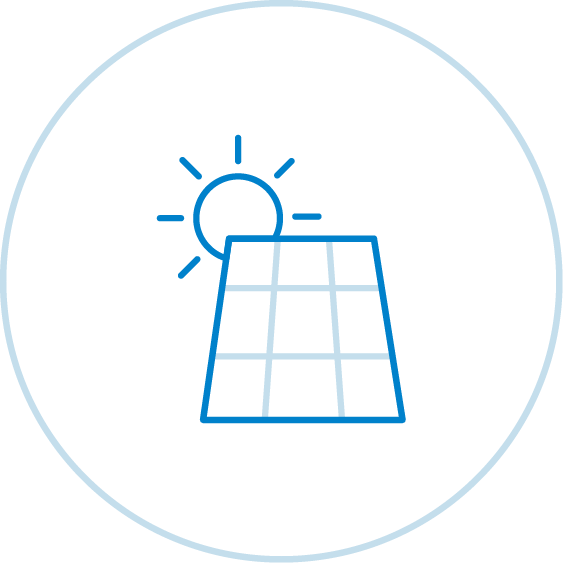 You can use the sun's energy during the day and if you're generating a surplus you could even be paid for exporting electricity to the grid. With the addition of the battery storage system, solar energy gets even better because now you can store excess electricity you've generated during the day for use later on in the evening. This gives you options and more control over what to do with solar energy. Best of all, whichever you decide...you're always going to save money on your power bill. Another benefit of battery storage systems is, they can be used as a backup power source should the power ever go out. So you'll never miss the important things in life. So how much is a battery storage system? Well look they're not cheap, but ultimately they'll pay for themselves in electricity savings. For most it's more about using more solar generation and wanting to experience the new technology. More good news is that with our perfect weather for generating solar energy and many customers eagerness to adopt new technology, interest in battery storage systems is only expected to grow, which in turn will bring the cost of units down. 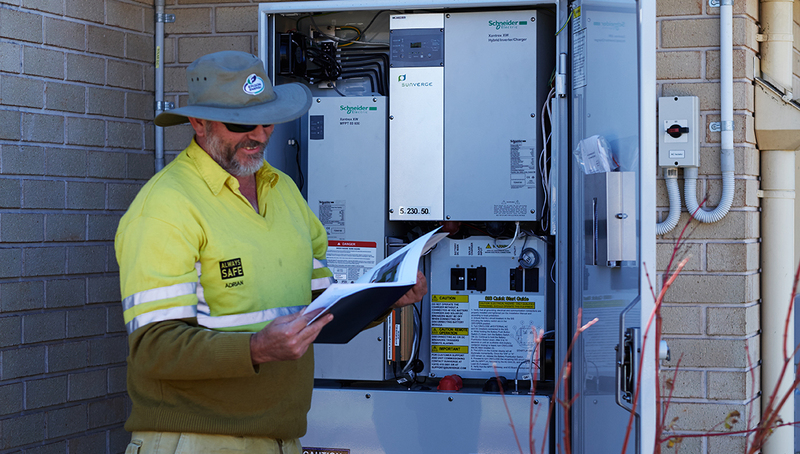 At Ergon, we're using the battery storage grid utility support system to improve the reliability of our network in remote locations and we support our customers in embracing this new technology. 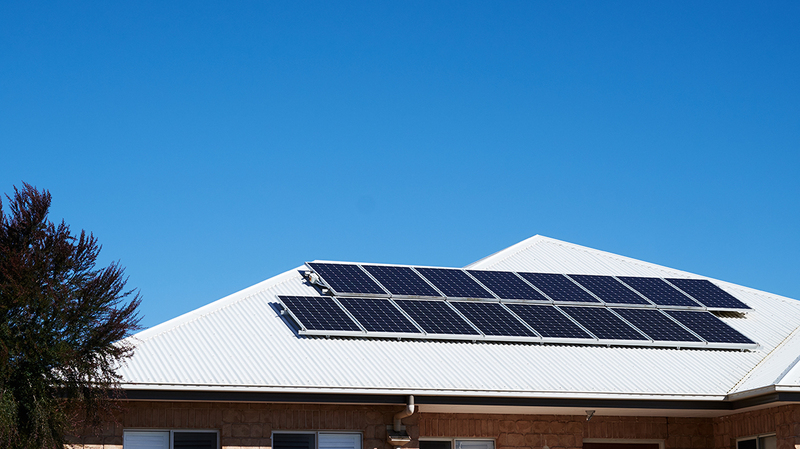 Note: In regional Queensland, only customers on the regional feed-in tariff are still eligible to earn credits on their power bill for exporting power to the grid if their solar PV system includes battery storage. 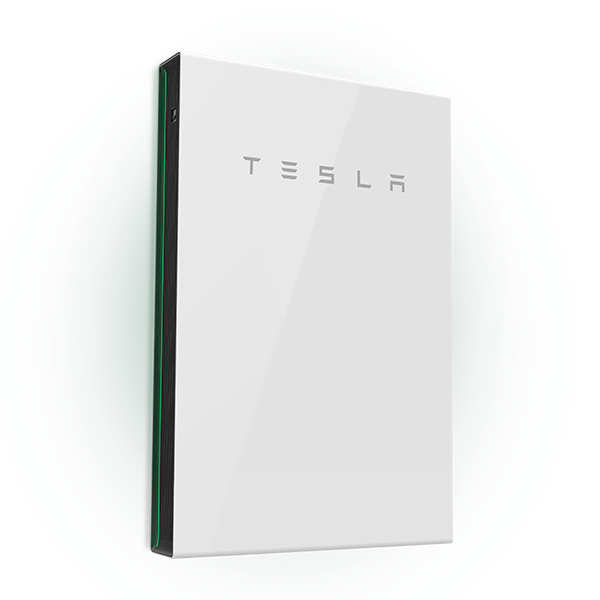 Battery storage for home solar is here. Installing a battery will change how you use your solar power. Currently, the energy your solar system makes is supplied directly to your home as needed during the day. 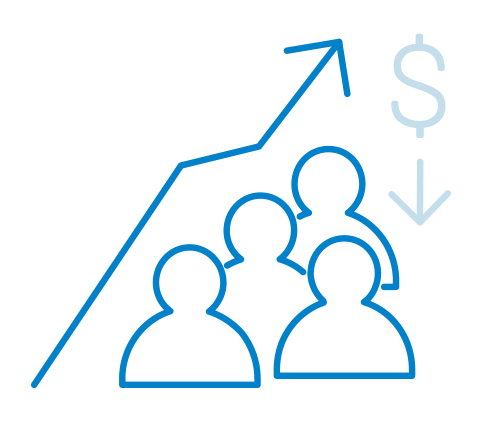 Unused power is sold into the grid, earning you a credit on your power bill with your electricity retailer. When your system is not generating power, you buy all your electricity from the grid. With solar battery storage, your solar panels will still directly power your appliances while the sun is out. However, the extra power you’re generating does not go into the grid. It gets stored in your battery. The unused power you stored in your battery during the day, is now available at night … or at any time you need it. It means you use more of your solar power at home and buy less electricity from the grid overall. 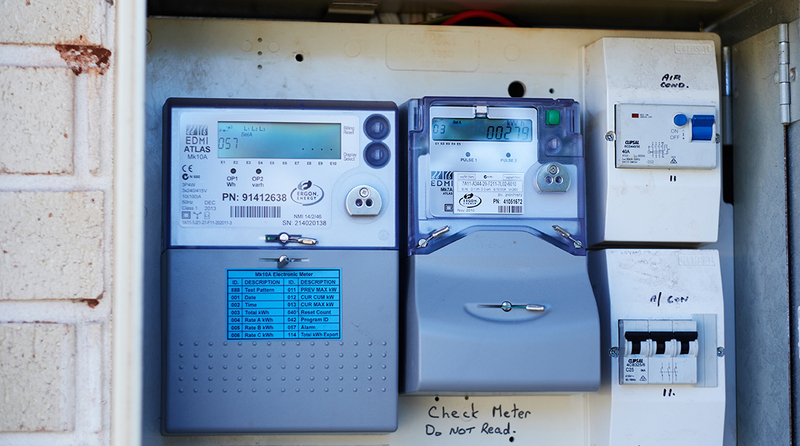 You can still earn credits on your power bills. When your battery is full, your solar system will send power back into the grid. Generally, you’re better off having the right-sized battery and using your solar energy at home, than selling your extra electricity back to the grid. Battery storage allows you to store your solar power for use at night, helping you save more on electricity. Stay out of the dark and use your battery storage system for back-up power during a blackout. 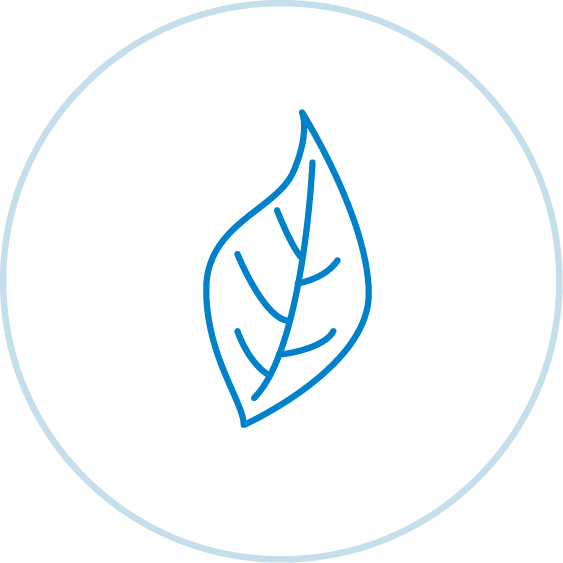 Work towards your sustainability goals and store excess renewable energy for later use. 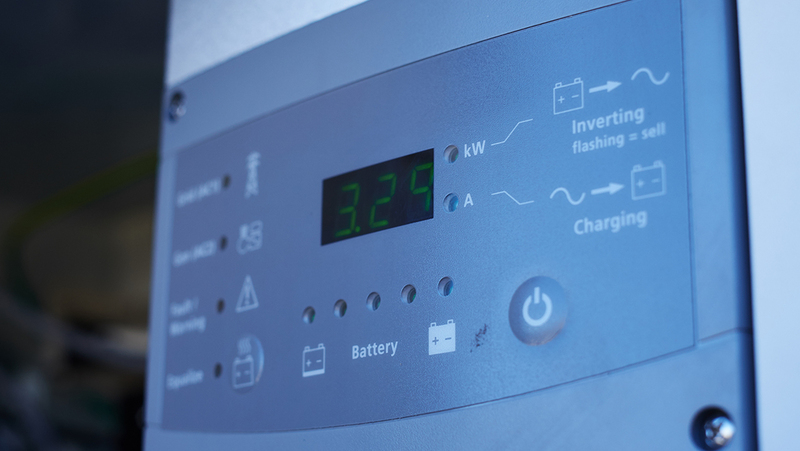 An inverter connects your battery storage system to the electricity grid and your premises. 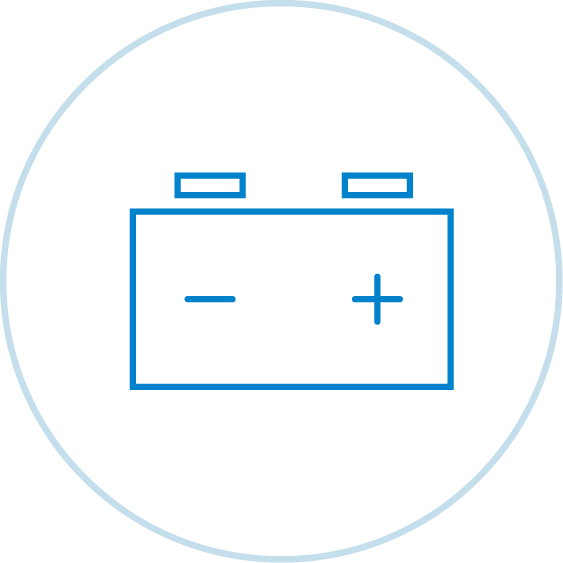 Think about where you locate your battery storage system so that it runs at an ideal level and reaches its expected service life. Ensure regular maintenance for your system. This image shows one of our trial battery storage systems. With a battery storage system you can work towards your sustainability goals by storing excess renewable energy for later use. 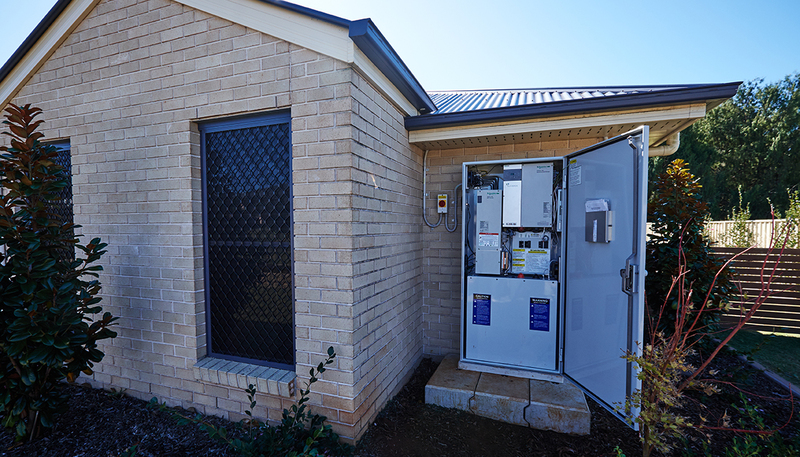 If you connect your battery storage system to your solar PV unit, your switchboard may need rewiring. Ask your battery installer. Are you looking to reduce your electricity costs a little or go 'off-grid'? 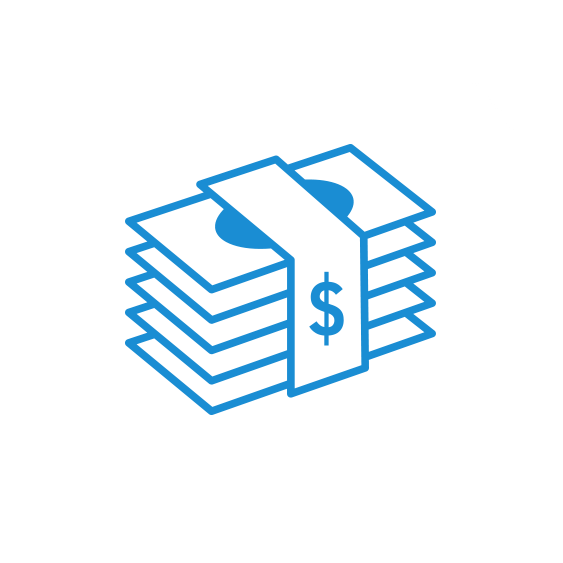 Choose the right battery storage system for your needs. Understand what makes one battery storage system different to another and check out our top eight battery features. Important considerations when thinking about where to locate your battery storage system. There are different connection processes depending on whether you would like to export into the electricity network or not. Things you need to know to ensure the safety of your family, friends and employees. Our recommendation of things to investigate to help you find a reputable installer.